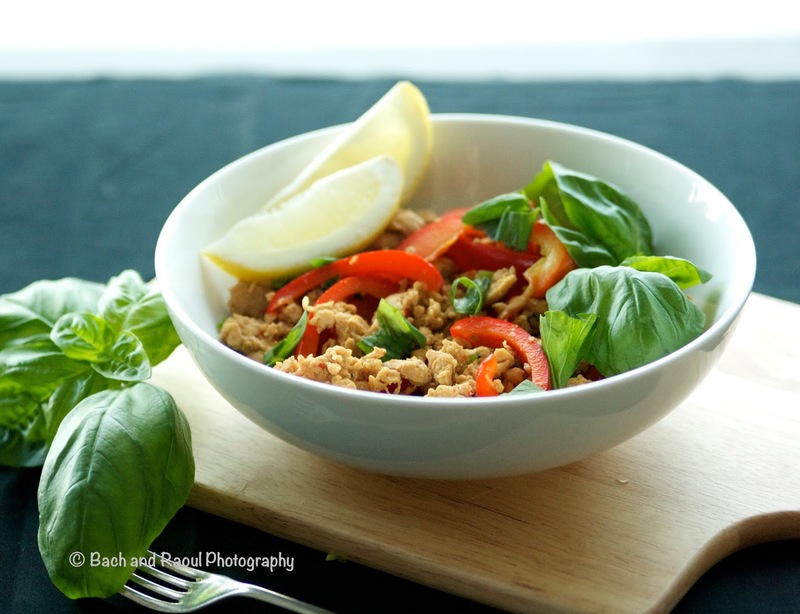 Calling this dish a weeknight lifesaver is a bit of an understatement! 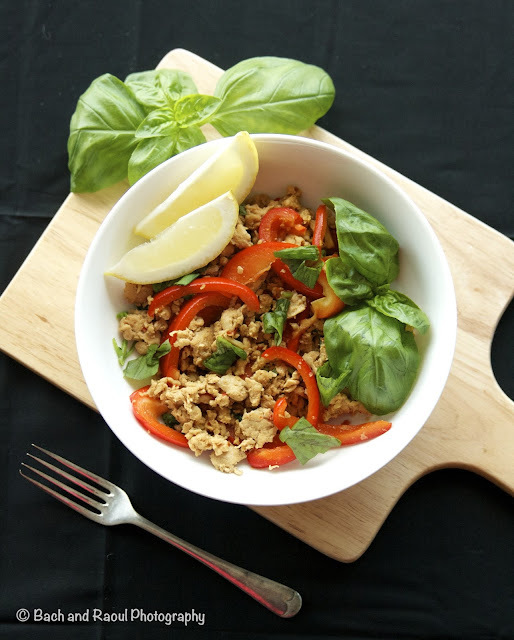 It takes about 20 minutes from start to finish and tastes absolutely delicious. 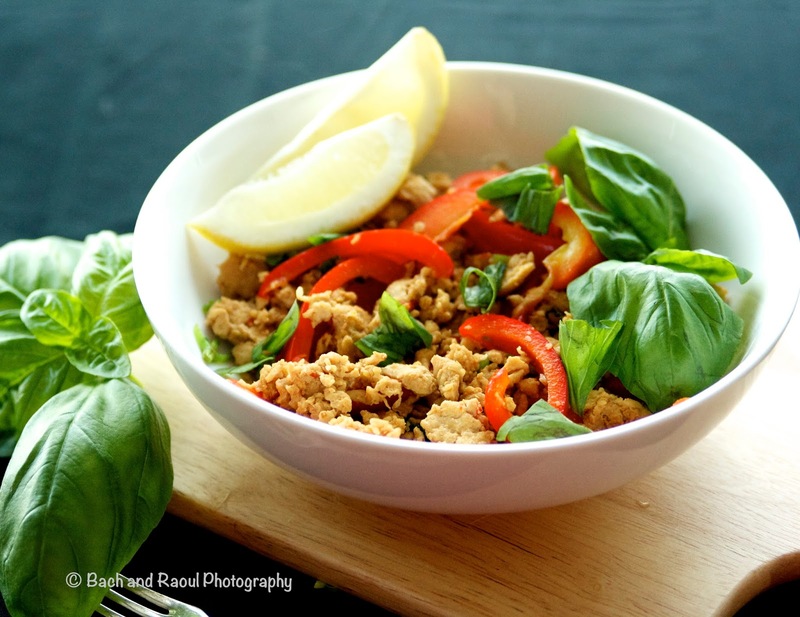 Use Thai basil if you can find it, but regular Italian basil works too if you're not too fussy. You can adjust the spice level by changing the amount of red chilies in the dish. I wouldn't recommend leaving it out all together. For palates with lower heat tolerance, I'd suggest using one chili pepper and discarding the seeds. 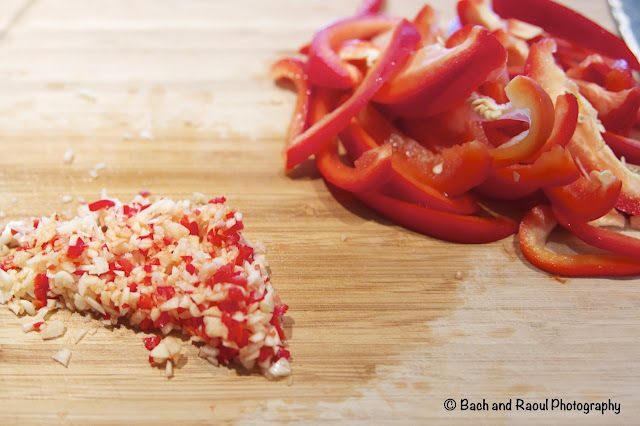 Finely chop the garlic and red chilies. Slice the bell pepper, discard the seeds. 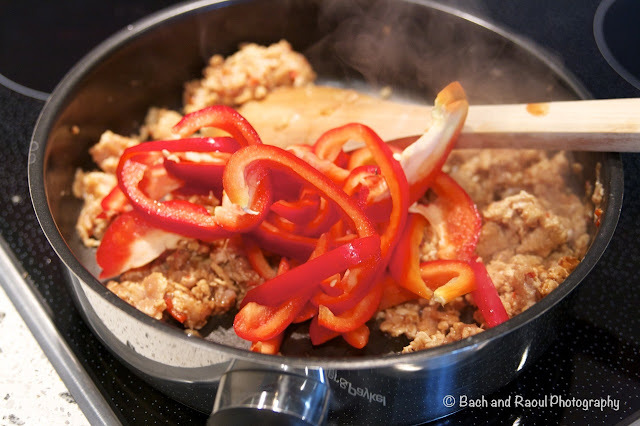 For all stir fry dishes, make sure that the pan is as hot as you can get it. The veggies and meat should cook as fast as possible without losing their crispiness. 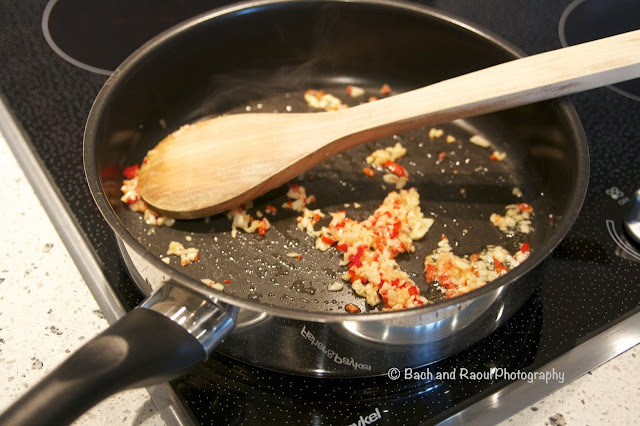 Heat oil in a pan and add the garlic and chilies. 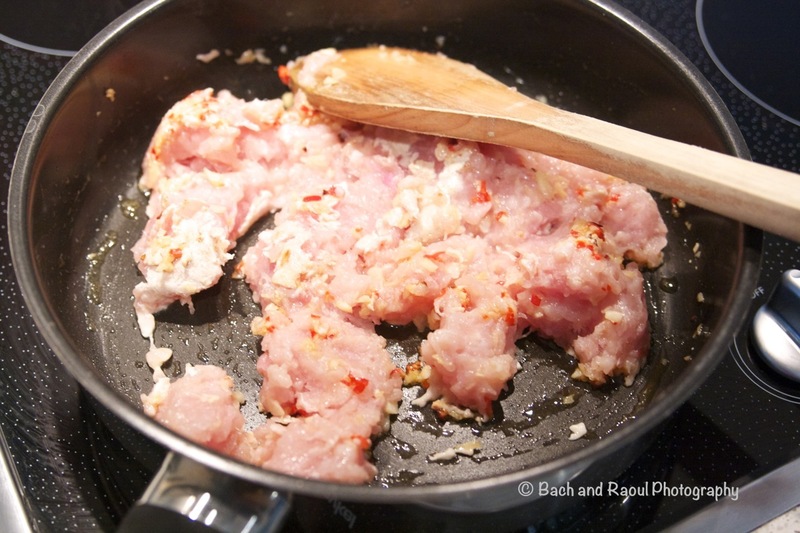 Once they sizzle for a minute or so, add in the ground chicken and stir it through and cook. 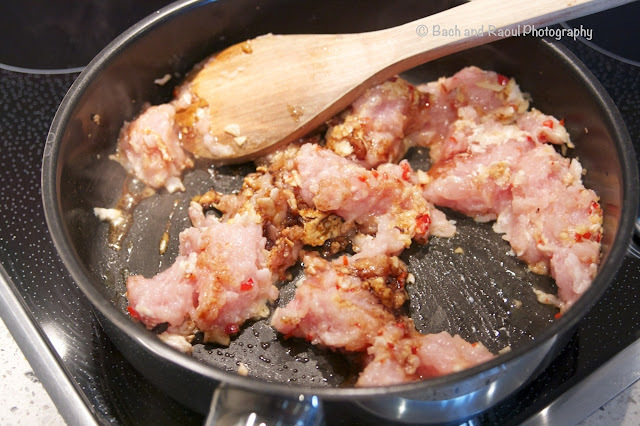 Add the soy sauce and fish sauce and continue stirring. Add the sliced bell pepper and cook for another 2 - 3 minutes. Do not over cook the bell pepper. 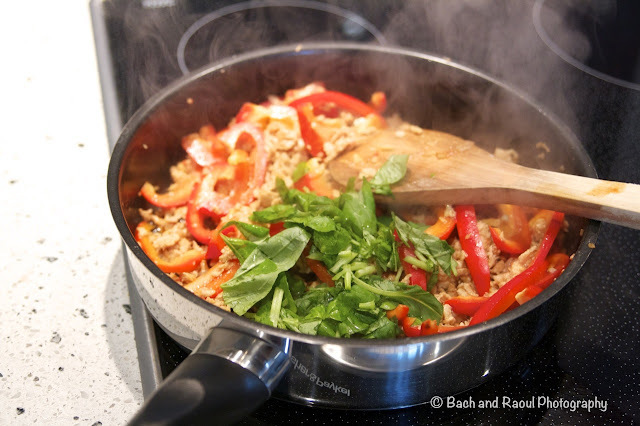 Stir in the basil and leave the pan on heat for another minute or so till the leaves wilt.